There is an area outside the West Entrance Parking garage that you may park overnight. 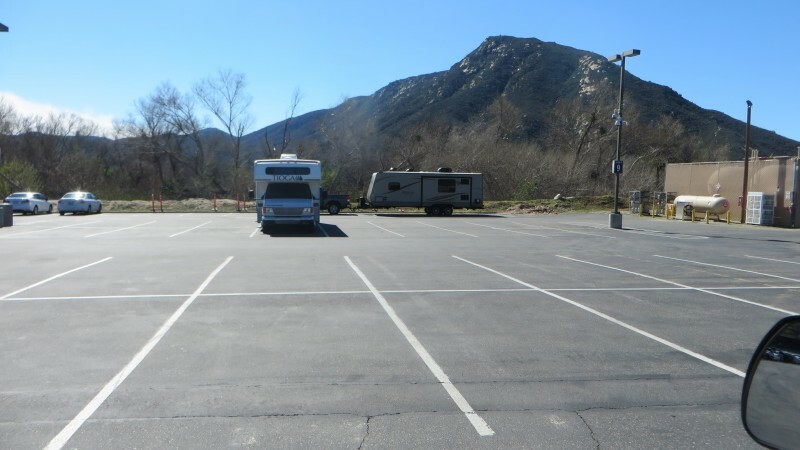 This area is located at the end of our Team member parking area and is available on a first come first serve basis. Free WiFi is available in the RV Park. 3 pets are allowed per RV for $5 per pet per 7-night stay. There is the usual leash and cleanup rules. There is a fenced dog park available. Rates vary from $50 - $105 per night, depending on type of site and day of the week and events. 10% discount for Good Sam, AAA, AARP, FMCA & Military. 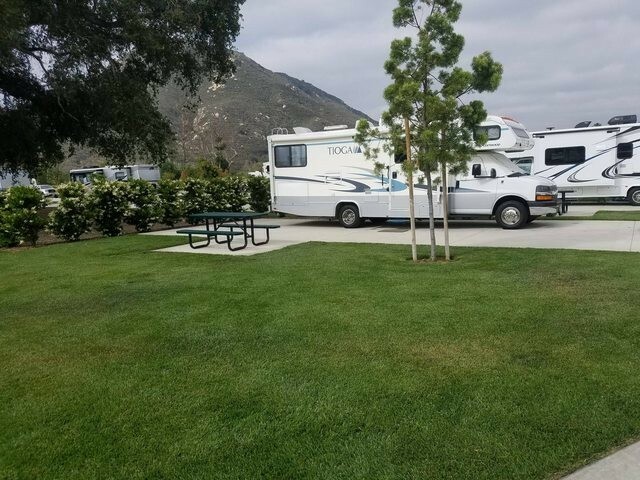 Overnight RV Parking is OK and they have a new RV Park. 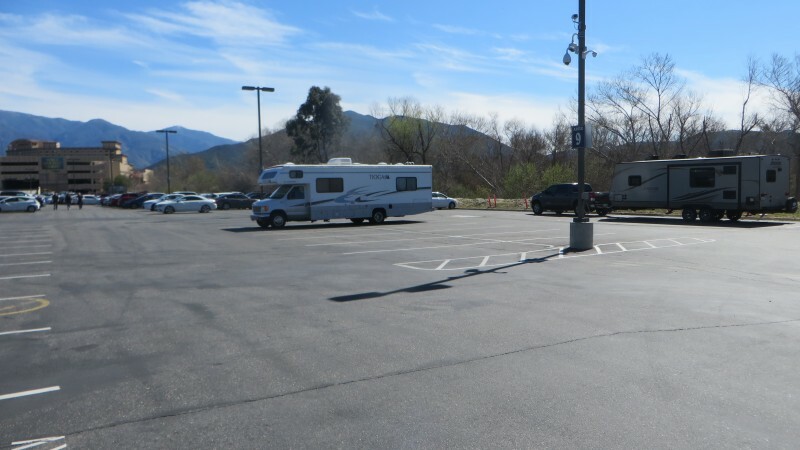 Appears that you Can still overnight in parking lot for free adjacent to RV park entrance. The RV park is a 5-star ...... if you can AFFORD it -- prices $50-$65 night. 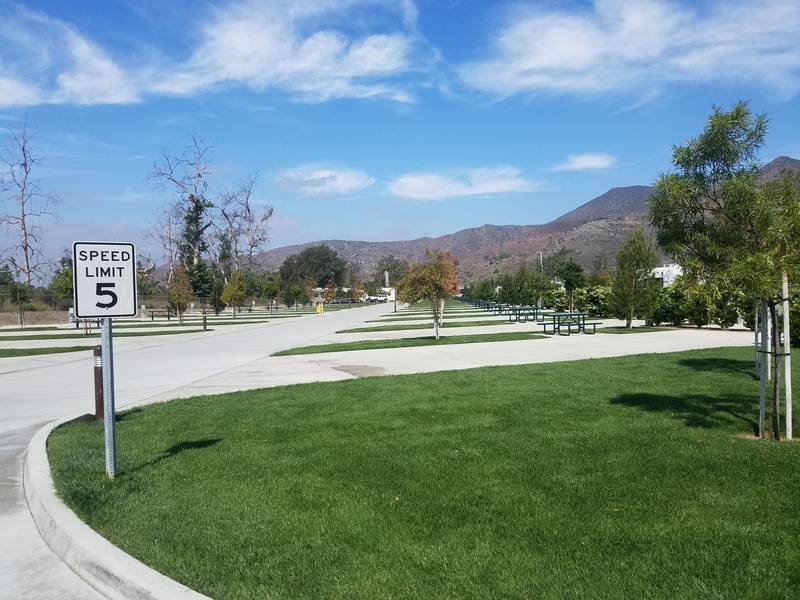 Parking area for 'free' is small and limited and must be entered on north side of casino as if entering rv park -- don't get 'stuck' entering casino areas as overhangs will prevent you and turnaround on roadway is limited if you miss the entrance. Nice casino is a pretty good walk and I didn't see any shuttle. I would pass this by for other casino parking in the area (Harrah / Pauma). This listing should be revised. Free 24-hour shuttle to the Casino & Hotel, 24-hour surveillance,Pets welcome,Wi-Fi Internet,restroom with showers,Laundry room open 24-hours and Propane is available. The casino has a fresh look and vibe,with free live entertainment on a stage above the bar in the center of the casino,very cool,loose slots,at least when I was there. The food offerings were very good and the prices were a bit less than other casinos in the area,the players card seems to rack up points fast giving discounts at the store and restaurants. There is also the Pala mini mart next to the park,just a short walk,it has almost everything you would need and has a killer Deli,sandwiches, pizza that is the best in the Valley, all at reasonable prices,they also have fresh local produce and wines. There is also a gas station there with angled pumps that are big rig friendly,easy entrance and exit. Check out their entertainment schedule - they pull in some pretty big names. A large RV Park is being built Just beyond the employees parking lot where the RV's use to dry camp. The security guard we talk to did not know if dry camping would continue to be allowed but probably not as there will no longer be any room. As it was we were parked in among the employee cars- space was tight with the construction. Casino is loud and busy- many many bus loads. Food prices are HIGH- $6.95 for a hot dog.... lots of restaurants though (10, I think). Played in Poker tournament and the players were loud and obnoxious to sit with-will not go back. 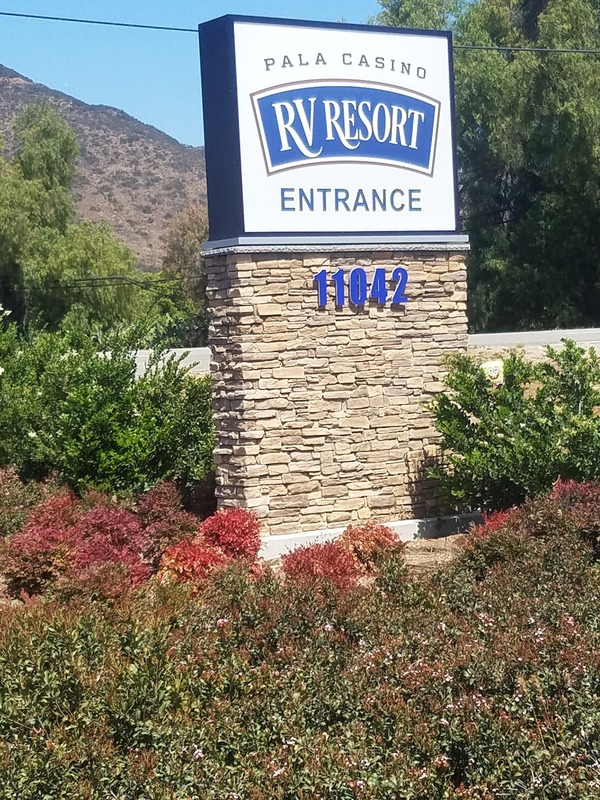 "Thank you for writing to Pala Casino Spa and Resort to inquire about our RV parking. We do have an area outside the West Entrance Parking garage that you may park overnight. 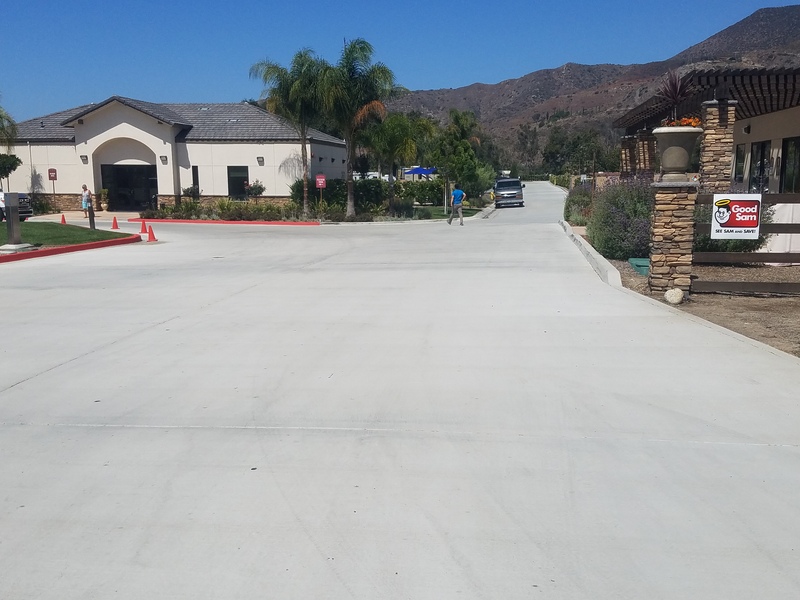 This area is located at the end of our Team member parking area and is available on a first come first serve basis." "We look forward to providing you with an enjoyable stay here at Pala."